It’s no secret that good nutrition and limited sun exposure go a long way toward preserving your skin. However, genetics, stress and other factors can show up on your face as well. The good news it that what can’t be avoided can be minimized and corrected. Reduce the signs of aging with some simple tricks that you can easily do. Reduce the signs of aging with these simple beauty hacks. Here are three things that you can do to begin turning back the clock today. Some women – and not a few men – go overboard with products in a panic when those first few wrinkles appear. However, there’s a phenomenon known as skin stress that can be caused by using too many products or creams that are too harsh for your skin type. Instead, use a gentle cleanser and find a good basic moisturizer to start with. Use these for at least a week to see how they react with your skin type, and then introduce one or two products to address specific symptoms like dry zones or acne. Do this process one at a time. Alpha hydroxy acids. These can go by names like lactic, glycolic or citric acid, but they all serve the same purpose, which is to exfoliate and encourage the growth of news skin cells. Retinol. This is a concentrated form of vitamin A that improves skin elasticity and thickness. Vitamin C. Everyone knows the benefits of vitamin C for boosting the immune system. But ingesting it or using it as a topical cream does wonders for your skin, too. If you can’t pronounce half of the ingredients on your skin product, you probably don’t need them. Many effective moisturizers and anti-aging agents are already available in your pantry, garden, or the local supermarket. For example, olive oil is a great moisturizer for skin and hair. There’s a reason so many Mediterranean women have thick, lustrous hair, and wrinkle-free faces. Massage a few drops of extra virgin olive oil onto your face and neck before bed time. Make your own homemade facial scrub. Try making a gentle, moisturizing facial scrub with a paste of baking soda and coconut oil. It will leave your face soft and glowing, and it’s effective against eczema and other skin conditions. Make sure to use extra virgin, organic oil for a higher purity and rinse with warm water. You can finish with a spritz of rosewater and let it dry naturally. 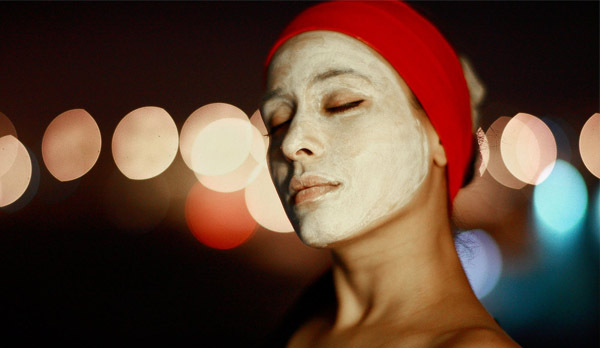 Other natural ingredients that can become face masks include honey, yoghurt, bananas, and oatmeal. You can mix a tablespoon of each of these ingredients together in any combination, leave on until dry – about 15 minutes- and rinse with warm water. It’s no secret that water is the source of life and health. If you don’t already drink the recommended intake every day, start now. However hydration on the outside is important, too. Many women start the day by gently washing their faces and then plunging them into a sink filled with ice water for about 30 seconds. This reduces facial puffiness and refines pores the natural way. Water is your best, simplest, and safest way to beat aging. While it’s never too late to start a healthy skin care routine, the earlier you start, the better. Many women begin with prevention in their 20s or 30s to get a jump start on minimizing fine line and wrinkles. For your convenience, ESK offers anti aging skin creams in a variety of formulations that can be delivered right to your door in no time.